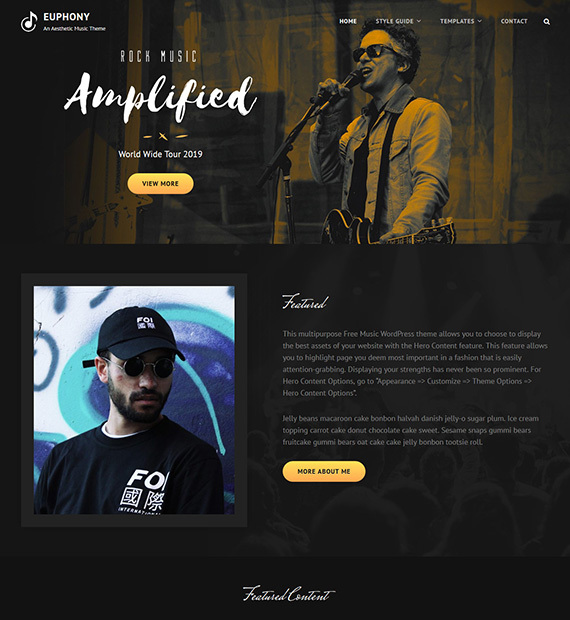 Euphony is the perfect WordPress themes for the musicians out there. It has been designed to be minimalist while still being amazingly versatile. It comes with a ton of helpful features including Featured Content, Featured Slider, Hero Content, Sticky Playlist, Services, Portfolio, Translation support, and Testimonials to just name a few. Euphony is also ultra-responsive so it works amazingly well on mobile devices. Beautiful way to display your testimonial – the theme offers stylish designs for showcasing your testimonials. Share what others say about your work & build trust.